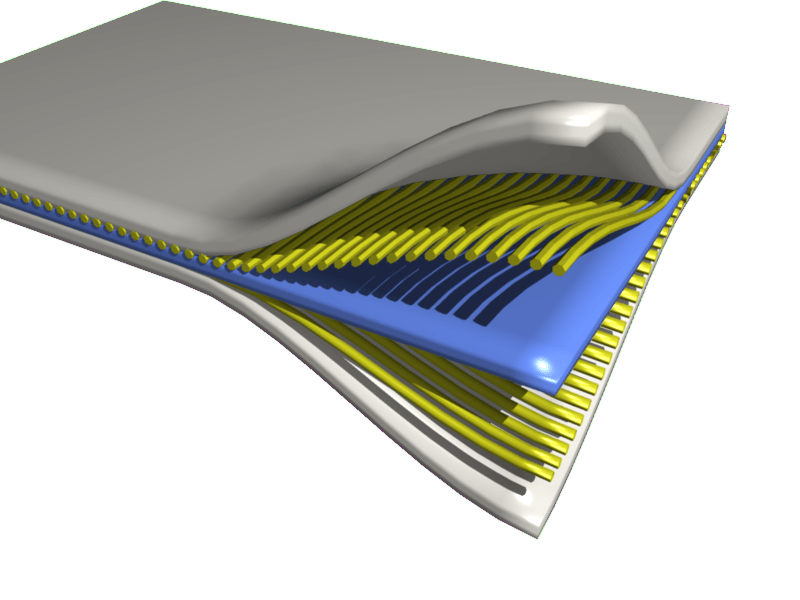 UCL scientists have shown how advanced computer simulations can be used to design new composite materials. Nanocomposites, which are widely used in industry, are revolutionary materials in which microscopic particles are dispersed through plastics. But their development until now has been largely by trial and error. The ‘virtual lab’ developed using supercomputer simulations greatly improves scientists’ understanding of how composite materials are built on a molecular level. They allow the properties of a new material to be predicted based simply on its structure and the way it is manufactured, which the team behind the project say is a holy grail of materials science. The team led by Professor Peter Coveney and based at the UCL Centre for Computational Science, looked at a specific type of composite material, where particles of the clay called montmorillonite are mixed with a synthetic polymer. It is impossible to study these with microscopes – the processes are smaller than the wavelength of light, and therefore can’t be observed directly. Moreover, the structure of the clay particles makes them tricky to study through less direct methods. The clay particles resemble stacked packs of playing cards, made up of tightly packed sheets (the cards) that may separate out and sometimes cleave off entirely as the long chain-like polymer molecules slide between them. This means much of the interaction between the polymer and the clay is hidden from view. April 10, 2019 - Working together as a “virtual telescope,” observatories around the world produce first direct images of a black hole MIT NewsAn international team of more than 200 astronomers, including scientists from MIT's Haystack Observatory, has captured the first direct images of a black hole. April 8, 2019 - Leveraging HPC to Accelerate Virtual Drug Screening HPCwireResearchers from the University of Massachusetts system have partnered with Symmetric Computing, Inc. to accelerate the search for potential therapeutic. April 18, 2019 - E-bike boost, virtual Notre Dame, climate rebels and more: best of the week's news E&T MagazineE&T staff pick the news from the past week that caught their eye and reflect on what these latest developments in engineering and technology mean to them. April 11, 2019 - Experience the Magic of the Historic First Photo of a Black Hole My Modern MetResearchers have taken the first photograph of a black hole using a virtual telescope the size of Earth. This is an historic event for astrophysics.